In France, walnut oil is used all the time in salads - a classic French dressing consists of Dijon mustard, one part red wine vinegar to 3 parts walnut oil, seasalt and freshly ground pepper. Over there it's always so delicious, mostly because the oil is freshly pressed. On this side of the pond, it's usually imported and often already long in the tooth by the time it gets to your grocer's shelf. But you can now order it fresh from LaNogalera, the brand produced by three walnut farms in Santa Barbara County, California. It's stunning. Use it raw, as it has a low burn tolerance and just gets bitter when cooked. It's made for fresh eating any where you are using olive oil: tossed with salad, pasta, in pesto, on steamed asparagus or roasted fish. 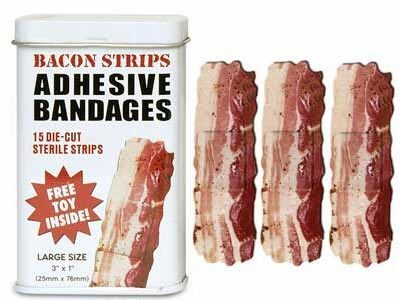 Here they are, the newest beauty mark--bacon bandages. Not only bandages! Air fresheners, gumballs, tote bags, floss, toothpicks, for all your bacon flavored needs. Find them at www.perpetualkid.com along with a lot of other cool stuff. Play-Doh scented cologne for your beloved...USB charged mini fridge for a single beverage can...a beer glass that holds five beers. It's all there. In spite of the mind-boggling marketing muscle of Coca-Cola and Pepsi, there are places in the world where local soft drinks give 'em a serious run for the money. Here are three countries – fine destinations all -- where consumers give a resounding shrug to America’s soda kings, in favor of their own. ITALY: Chinotto is a small bitter citrus fruit sometime called “myrtle-leaved orange” that grows in the Liguria, Tuscany, Sicily and Calabria regions of Italy. As an essential flavor component of Campari liqueur, its bittersweet notes are thought to open up the palate, which is why it’s often served before a meal. Chinotto is also the name of a dark brown soft drink made with the citrus and herb extracts, produced and consumed in Italy since the 1950’s. It hasn't caught on big in the U.S., although across Canada where it is sold as Brio Chinotto, it’s considered the perfect pizza companion. In the U.S. we can buy the San Pellegrino version. Its flavor is more grown-up than other drinks on this page,it's a little like slightly bitter root beer. It can be ordered through www.popsoda.com at $5.59 for 6. SCOTLAND: Irn-Bru started life in 1901 as Iron Brew, then had to go phonetic in the 40’s since there was no actual brewing involved and truth-in-advertising laws were kicking in. The bright orange citrus soda outsells Coke and Pepsi, although it’s a close competition. When MacDonalds opened in Scotland, they didn’t serve Irn-Bru until their stores were picketed. It is said the recipe is known by only two company board members and a written version is kept in a Swiss bank vault. In the UK it's sometimes mixed with vodka or whisky and is also mythologized as a hangover cure-all. You can order it in the U.S. although the coloring agents that make that nice neon shade are illegal here. Try the stuff out if you must – a 500ml bottles goes for $2.95 at www.britishdelights.com. 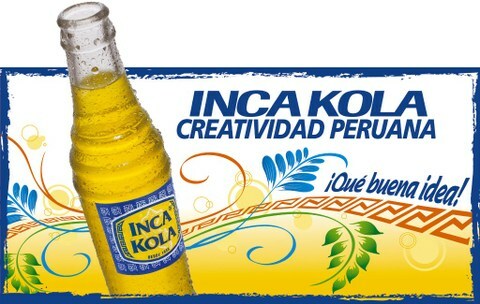 PERU: Created by an immigrant English family before the first world war, Inca Kola is a bright yellow, syrupy sweet soda reminiscent of bubble gum and bananas. 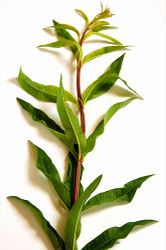 The original formula came from an ancestral concoction involving the herb lemon verbena. A marketing campaign invoking national pride and a cultural predeliction for high sugar content have helped make it the official beverage of Peru. At one point Pepsi and Coke tried to fight it out for market leadership but both flopped. Peruvians seem to regard Inca Cola as the sole complement to Chinese food, and some Chinese-Peruvian restaurants don’t bother to serve any other soda. Like much of South America, many Peruvians prefer to drink this and other sodas at room temperature. Buy it at www.amigofoods.com at $3.99 for a 2-litre bottle. This is the most read and searched-for piece on Harriett's Tomato in the past year...and yes, we are simply repeating ourselves. 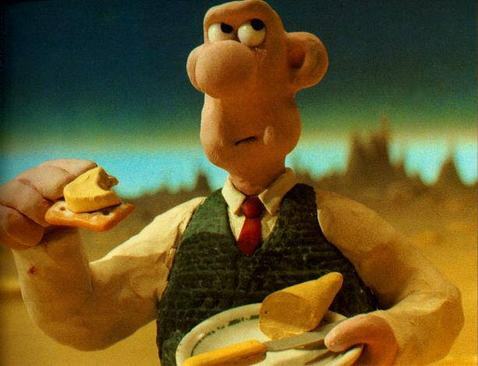 Long before he became a nocturnal vegetable thief, Wallace was cheese-obsessed. He read magazines with titles like Cheese Holidays and Cheese Monthly. In “A Grand Day Out,” he chatters on about Cheddar and Lankeshire, mentions Philadelphia in passing, and builds a rocket to the moon -- “We’ll go somewhere where there’s CHEESE!” -- when he finds the fridge empty. In his latest adventure, “The Curse of The Were-Rabbit”, he’s brought back from the dead with a whiff of Stinking Bishop, a hard British cheese with a rind washed in pear alcohol. But his favorite and most often mentioned is Wensleydale, a somewhat lesser known English export than the ultra-famous Cheddar or Stilton. Wensleydale is a verdant area inYorkshire, the North of England, where the use of agricultural chemicals is restricted. Pastures sprout from earth rich in limestone and the cows graze naturally, free and happy. What results from their milk is traditional firm white cheese based on a recipe dating back to 11th century Cistercian monks. Tart, nutty, creamy and crumbly at the same time, it bears some similarity to mild white cheddar. It’s traditionally eaten on top of apple pie, a dessert combination found in the U.K. and reinvented in Canada as Apple Pie & Cheddar. The cheese is produced by Wensleydale Creamery, who have recently packed it up with a picture of their biggest fan and his wise dog. Wallace & Gromit Wensleydale can be ordered online from www.cheesesupply.com and goes for about $23 a pound. Much cheaper than a trip to the moon. From Hawthorne Valley Farm: Organic Raw Caraway Sauerkraut. Can't get enough of this little treasure, made at a biodynamic farm in upstate New York. Also comes flavored with jalapeno or curry. Various fermented vegetable products, including kim chee, can be ordered from Sauerkraut Seth at the farm store or picked up at the Union Square Farmer's Market in Manhattan. Virgin Lands Raw Avocado Oil, from Chile, is dark green, buttery oil full of goodness, flavor and beauty. Drizzle it on anything...of course we love it on tomatoes. Look for it locally, also available through mail order from Kalustyan's in Manhattan. Another Chilean product, the fruit carica, sometimes called mountain papaya, has been creeping into gourmet shops for a couple of years and is gaining momentum. In raw form it's hard, like raw winter squash. After it is gently poached in light syrup it tastes a little like papaya, a little like mango. Great for slushy cocktails, fruit desserts, or grilled and served with fish or chicken. Look for it locally or order the Tamaya brand from Bear Creek Fine Foods at 888.912.7335.